Sekiro Return ending is one of four possible ways for the game to close. It's one of the more positive endings in the game, and takes some work to complete. Here's how to get the Return ending. 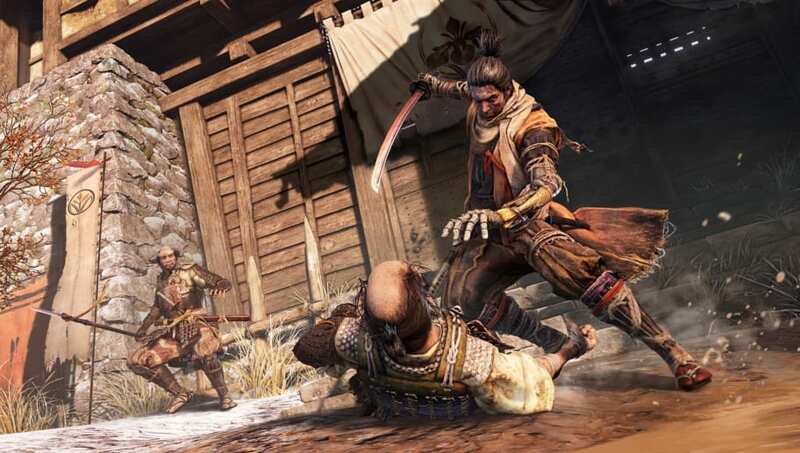 Obviously, there are spoilers ahead for much of Sekiro: Shadows Die Twice, so avert your eyes if you're looking to finish the game without knowledge of the ending. ​The first step to seeing the Return ending is to side with Kuro against Owl in the fight on the rooftop. Then, before you finish the rest of the game, complete the following steps. Gather both Serpent Fruits from the Giant Serpents. You can find the first in the area before the Guardian Ape boss fight. Rather than head to the Ape, go to the bottom of the area in the other direction. You'll find a cave with a Giant Serpent blocking the path. Follow the snake's body toward the head, but then use the Puppeteer Ninjutsu on the nearby monkey to distract the snake for you. Head through the unblocked cave to get the Old Fruit. The second fruit can be retrieved by going to the Senpou Temple. Drop down to the right of the exit of the first Sculptor's Idol in the area. Use the Puppeteer Ninjutsu on the small enemy by the kite to make him operate it. Then follow the path until you can grapple to the kite and reach a new area, where you'll be able to fight and kill the Giant Serpent and earn the second fruit. Next, you'll have to retrieve a scroll from the pond in the Temple Ground and bring it to the Divine Child in the Inner Sanctum, who will disappear into the illusion where you previously chased monkeys. Follow the child and talk to her to learn about the fruits. Find the monk the child describes and bring him back to the child. Bring the frozen Dragon Tears to Kuro after defeating the last boss in the game, and you'll be treated to the Return ending.